“This product is sold out.” This is a phrase that no one in your company want to hear. Often it is caused by insufficient inventory management by the seller. Shortages can be the result of mistaken demand forecasts, inaccurate control of stocks, or incorrect determination of the optimal reorder point. Inventory replenishment and reorder point management are important indicators that can make or break profits for distributors. 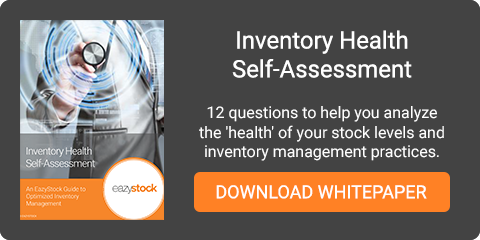 In this blog, we’ll be breaking down the 7 steps you should take for optimising inventory purchasing practices. Distributors with complex product offerings can find themselves using all three depending on their need, which can create a lot of headache for the buyers, not to mention increases the margin of error when reordering. To fix this, we’ll take a look at a few specific examples of methods of calculating the optimal replenishment based on existing data sets in order for optimising inventory purchasing. Let’s get back to the basics. Sales rate and delivery time are necessities for calculating the optimal reorder amount. For example, if a product is expected at time T and the delivery time is , the order should be placed at the time T–. When the supply is accurately delivered at time T, it saves storage costs. However, if an order is submitted too late causing the shipment to arrive after time T, an unprofitable backlog occurs and, put simply, you lose customers. How can the reorder point be identified depending on remaining inventory? The delivery time is less than or equal to the order interval T.
The delivery time is larger than the order interval T.
1. How many orders should be considered? 2. How do you calculate the difference in time between the orders, that is, the order interval T? 3. How do you calculate the reorder point? Let’s start with the first case. Since the existing stock on the date the order is received is equal to zero, the balance at T– should equal the total consumption during the time interval. Then the reorder point can be calculated by multiplying the average daily consumption of an article with the delivery time in days, then adding the safety stock. In general, a higher safety stock is required, which allows for more fluctuation in demand and delivery processing time. OK, math class is over. Let’s look at the benefits of managing reordering smarter. For companies with large inventories across many different locations, one of the most effective ways to make the supply more accurate and efficient is the use of an automated reorder system. Contrary to popular belief, this process is not managed in your ERP system. Yes, orders are submitted to the ERP, but where do these calculations live? Yep, you guessed it…EXCEL. With a large number of different products to manage, multiple locations, different warehouse managers, and different buyers, the margin for error becomes massive. Manual handling of all these variables is both very time consuming and labor intensive, which has a negative effect on the business’ profitability. An automatic replenishment system continuously monitors inventory levels, sales forecasts and consumption while eliminating human errors created in Excel based calculations. The first step is knowing the correct way to calculate the optimal reorder points, which is an essential indicator in replenishment planning. Most businesses manage these calculations in Excel or in accounting solutions like QuickBooks, but the best way to calculate reorder points is actually through your ERP System. ERP Systems do not come standard with these types of calculations and automation unfortunately. 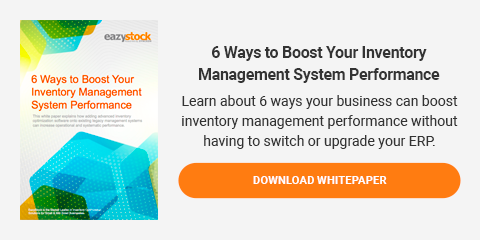 Luckily for planners, cloud based inventory optimisation software like EazyStock can easily connect to the ERP for enhanced management capabilities. The system should automatically provide forecasting for each individual item carried in inventory and seasonal variations and trends in demand should change automatically. The system must be able to calculate efficient safety stocks for each item, taking into account demand predictability, delivery processing times, and delivery accuracy. Quantities of products and distances for individual suppliers can be optimized with consideration to cost. By combining automatic routine orders with order proposals for certain major products and automatic exception management, product replenishment should be more efficient and less difficult. The result is optimising inventory purchasing. To learn more about what is to consider in replenishment planning and restocking and what current models exist to rebuild stocks, contact EazyStock.